Happy Holiday and good tidings! If you’re reading this, you’re probably the type of pet parent that plans to stick a few gifts under the tree for your doggies. It’s almost winter and if you live in an area with a cold winter climate, the daylight might not be the only thing getting shorter. On really cold days, your walks might start getting shorter, as well. During weeks of cold weather, my dogs can start to feel a little cooped up and need some indoor activities to keep them stimulated. Here are 10 fun indoor gifts to keep your pup busy through the winter months! Don’t let your puppy take out their energy on your charger cords and house slippers. 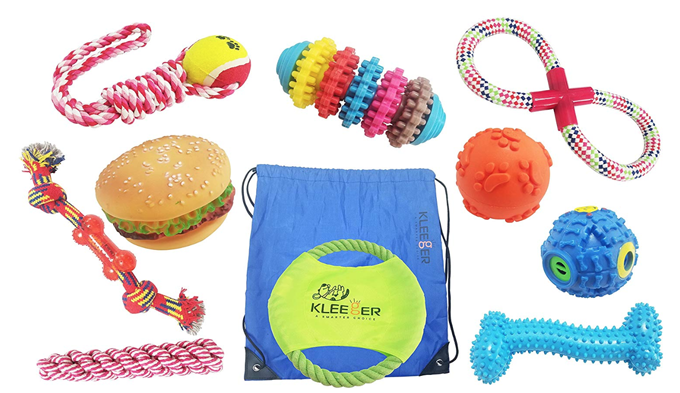 If your dog likes to chew up stuff, here is a colorful assortment of toys for your pup to enjoy! They come with a handy dandy bag, so you can pack them up and take them camping with you or to the park. Nina Ottosson has been designing and perfecting dog games and puzzles since 1990. Her philosophy is that dogs need mental stimulation as much as they need physical activity. I have some of her games and my dogs love them. 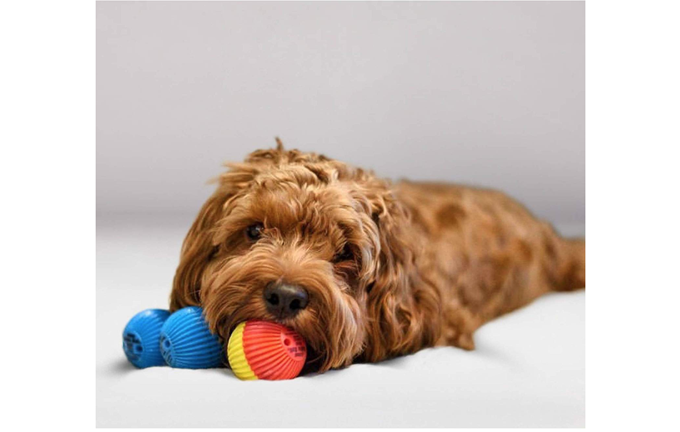 These toys are a great way to keep your dog’s brain working and fight boredom, as well as the unwanted behavior that can come from a bored pup. This is a blanket that you can hide dog kibble or treats in, which can satisfy your dog’s desire to hunt and forage. Sometimes food in a bowl can be boring. Let your pup work for their dinner. 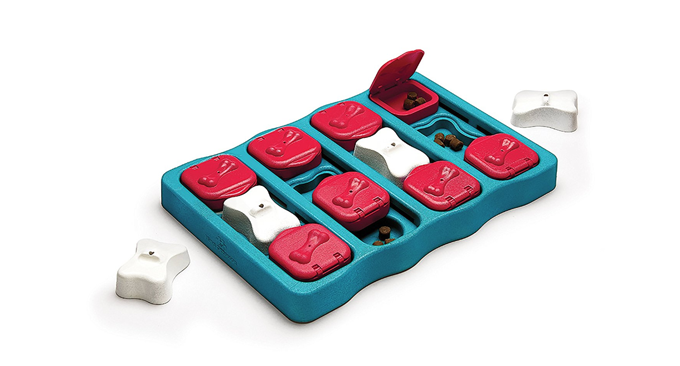 It also includes 5 puzzles toys. This will keep your dog busy and stimulated. 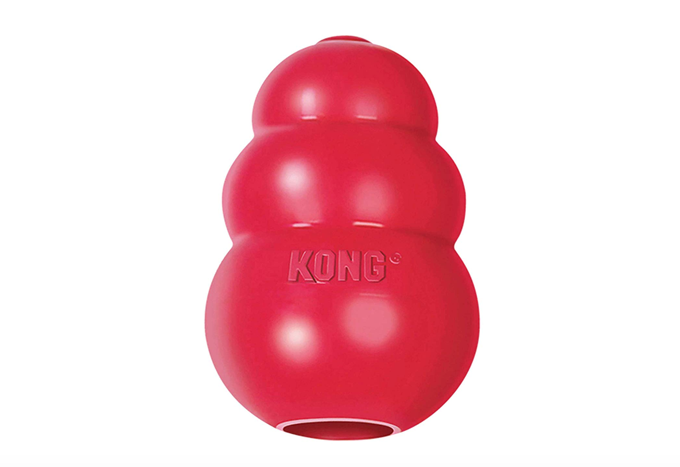 Kongs come in different sizes and styles. I found one that is better for older dogs. It comes in a purple color. Make sure that you get the correct recommended size for your dog. My favorite thing to do is to stuff them with (xylitol-free) peanut butter and shove ’em in the freezer. Then my dogs can have a fun little activity that keeps them busy licking for a while. 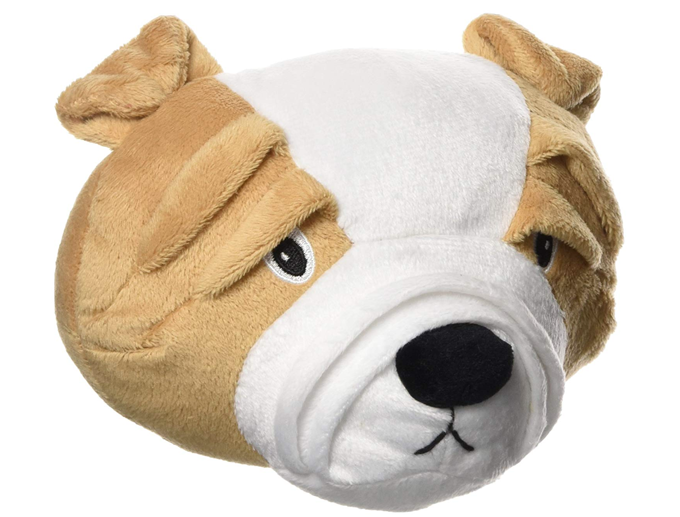 This is a talking, interactive dog ball with motion activated power switch. It makes over 20 wisecracks and sounds. If you think your dog would like this, pick it up. It’s less that 5$ right now! 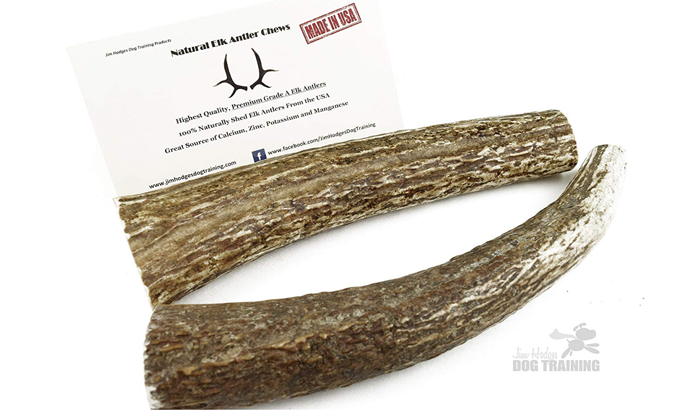 Elk antlers are a long-lasting chew product for dogs. They last longer than most other chews on the market and are a very good source of calcium, phosphorous, manganese and zinc. They’re great for indoors and not messy. These are from elk that shed their antlers. No Elk were harmed to get them. This little ball, bounces, rolls and shakes unpredictably. It’s also machine washable. If your dog likes playing, this little ball will play back. 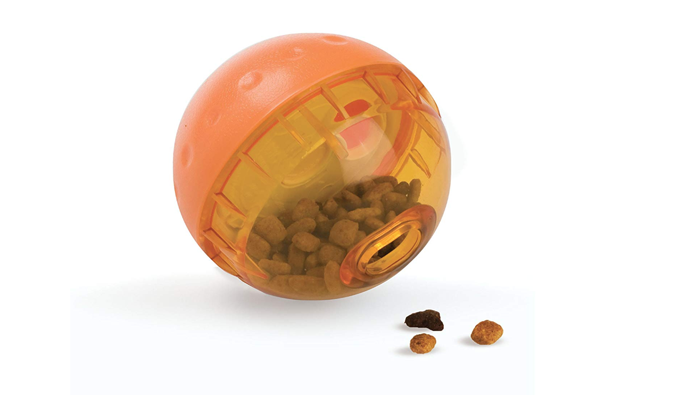 Fill this little ball up with your pup’s favorite treats. Your dog will get stimulation trying to figure out how to get their favorite treat out! Toys like this can slow down eating and help your dog lose weight, if that’s something your pup needs to do. 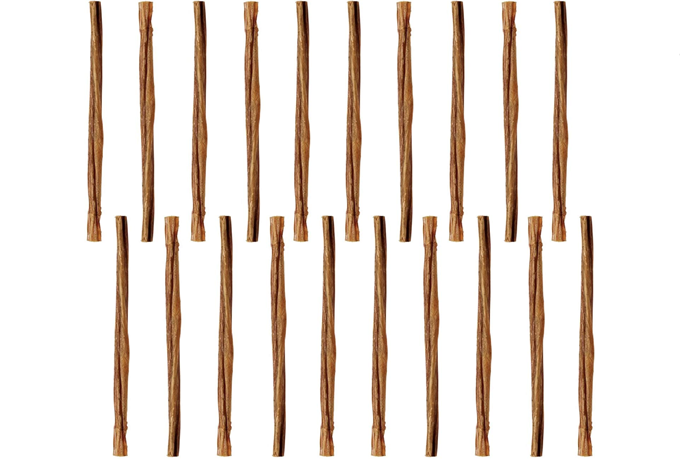 Bully sticks are great. 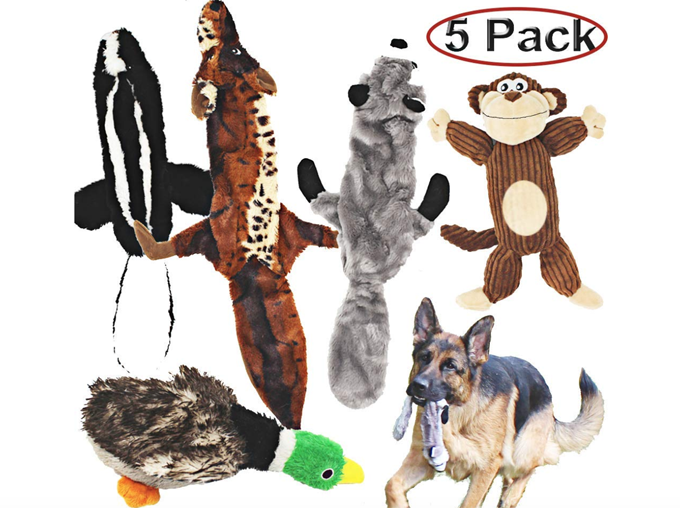 If you get the right size for your dog, they can keep your pup busy for a while. These minis are great for my senior Shih Tzu. He has a lot of dental issues, so I’m on the ball trying to keep what’s left of his teeth in top shape. I have a younger dog who I get the next size up for. Bully sticks have multiple uses. My dogs usually will use them for 20 minutes then stop and come back to them the next day. Sometimes if I’m leaving the house for a few hours, I give them each one, and it gives them something to do besides waiting by the front door for me to come back. When my dogs go to the groomers, they each get a bully stick. Buy Them Now On Amazon! Does your dog have a prey drive? I have a dog that loves chasing squirrels and birds in my back yard and she loves these! There is no stuffing, so you don’t have to worry about the white fluff winding up all over your floors. My favorite part is that she has fun, and no animals are harmed. 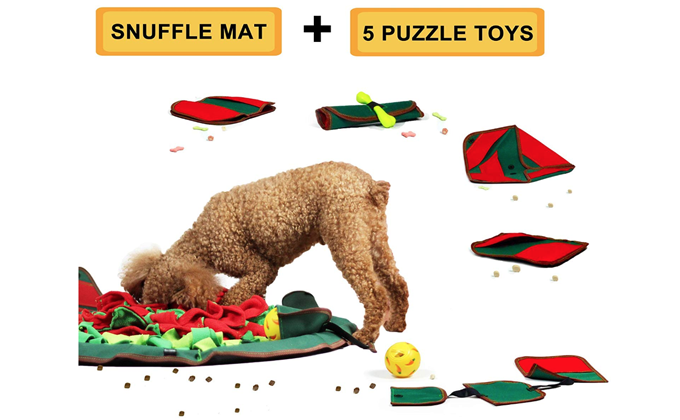 These are awesome gifts to keep your dog busy. If you have a friend who is a new dog parent, you can bring them a holiday gift for their dog. They will really appreciate it on long winter nights when they can’t give their pup as much outdoor exercise. What does your dog do during the cold nights around the winter holidays? Have you ever handed your dog a gift that keeps them busy? Let us know in the comments below!